Bags & Cases - Spun Fibre Arts, a local and online yarn store specializing in natural fibres. Handmade Project Bag perfect for sock projects. 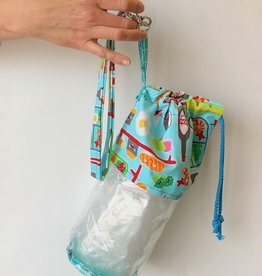 Drawstring closure, handle and see through vinyl to show off your favorite sock yarn. 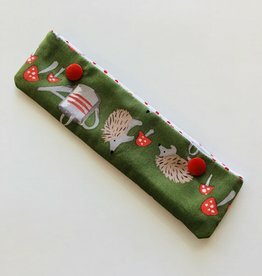 Handmade zippered bag with a zippered pouch on the back for notions. 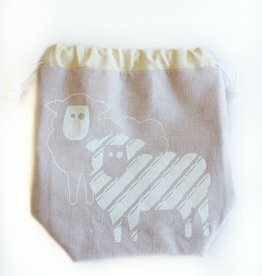 Small drawstring project bag handmade and screen printed by Pearadise Island. Our popular tote bag with the catch phrase "It Takes Balls to Knit" is the perfect size for your on the go project. Made of 100% cotton canvas, it is sturdy as well as stylish.